If someone told you that swishing a tablespoon of unrefined, coconut oil around in your mouth for 5-20 minutes daily could detox your body, clear sinus congestion and drastically improve your dental hygiene would you believe them? After trying oil pulling for the first time this morning, I do! Initially oil-pulling was a bit uncomfortable as I waited for the gobs of solidified coconut oil to liquefy in my mouth. After a minute or so, swishing became effortless; the oil reached every crevice so I felt like it was ridding my mouth of all toxins and bacteria. After rinsing, my teeth felt incredibly clean-so much so that a post-pull flossing session yielded zero plaque-the flossing proved to be useless and unnecessary. While I pulled for a mere six minutes this morning, I immediately noticed congestion had cleared and a sensitive molar that had been irritating me a bit had stopped bothering me. I am excited to see what other changes I notice throughout my body in the coming weeks. I’ve shared this information with my health-conscious cousins, Shelby and Mia, as neither of them had ever heard of it before. They now are on board and will be testing these results along with me. Will my seasonal eczema clear up? Will acne no longer be a nuisance in my morning make-up routine? Will flossing sessions continue to be in vain? I can only hope so! « Can I Be Honest About Something? Interesting! I’m hoping you write a follow-up so that we can learn more about your long-term experience. I recently was introduced to this practice and I am strongly considering trying it out! What kind of coconut oil did you use? How much did you use? 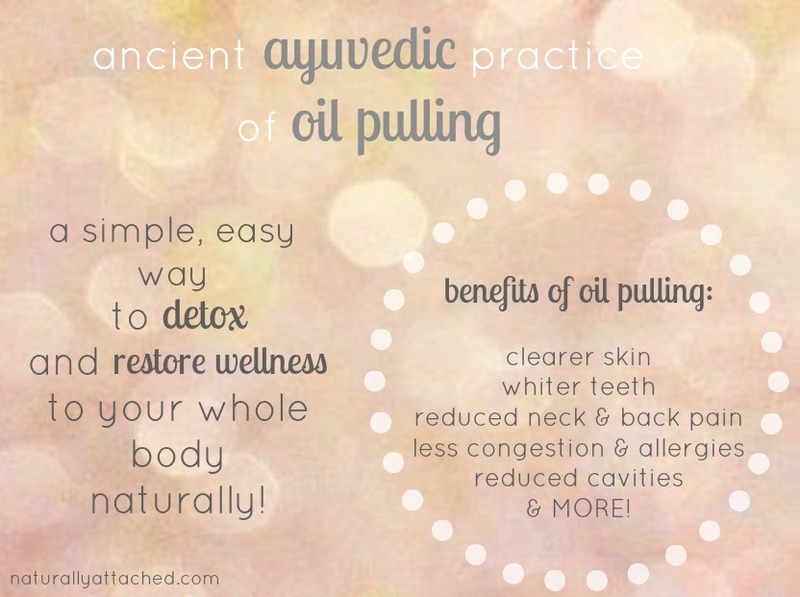 How long do you plan to oil pull each day? I read that you’re supposed to do 20 minutes a day, twice a day. I used an organic, unrefined one found in the natural/organic aisle of my grocery store. I used roughly one tablespoon? I scooped a moderate amount out with a spoon. The duration/amount daily is all up to you-some people do it once daily, others three times. Some do it for 10 minutes, others 20. I plan on working myself up to 20 minutes or so a day if I can (20 minutes is a LONG time) at morning and at night. They say do it while you’re in the shower because the time will move a little faster since you’re preoccupied with shower rituals. Awesome fancy pants!!! I, too, am eager to try. I bought some raw, organic cold pressed, coconut oil recently that cost me a pretty penny, b/c it was also local. To my surprise, the jar was so tiny I had to choose between oil pulling and making my own toothpaste, both of which I had planned to do with this jar. Looks like I should’ve done the oil pulling!! Lol!! Oh, btw I tried your cinnamon challenge. I didn’t flinch! But I’m also a cinnamon fiend, so maybe it doesn’t count!! Thanks for sharing love!! !